My freezer is already full of brown bananas, combine that with my refusal to waste food and I needed something to do with my two sad, very ripe bananas last night. I decided to slice them and throw them in a bowl with some fresh strawberries. Then I saw our raw alfalfa honey we bought from the North Park Farmers Market a couple weeks ago staring at me, so I decided to drizzle a little over the fresh fruit. OH EM GEE. This might be my new favorite healthy treat because of how flavorful it is, not to mention SUPER easy (my preference) and a way to use up really ripe bananas. Quadruple win (health, flavor, ease, not wasting food)! 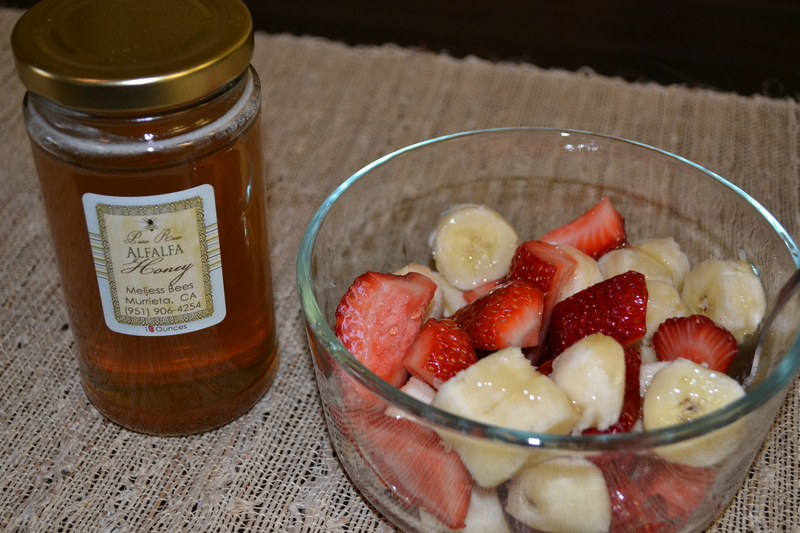 This entry was posted in Recipes and tagged Banana, Ease, Flavor, health, North Park Farmers Market, Raw Honey, Salad, Strawberries by livinglikelinds. Bookmark the permalink.